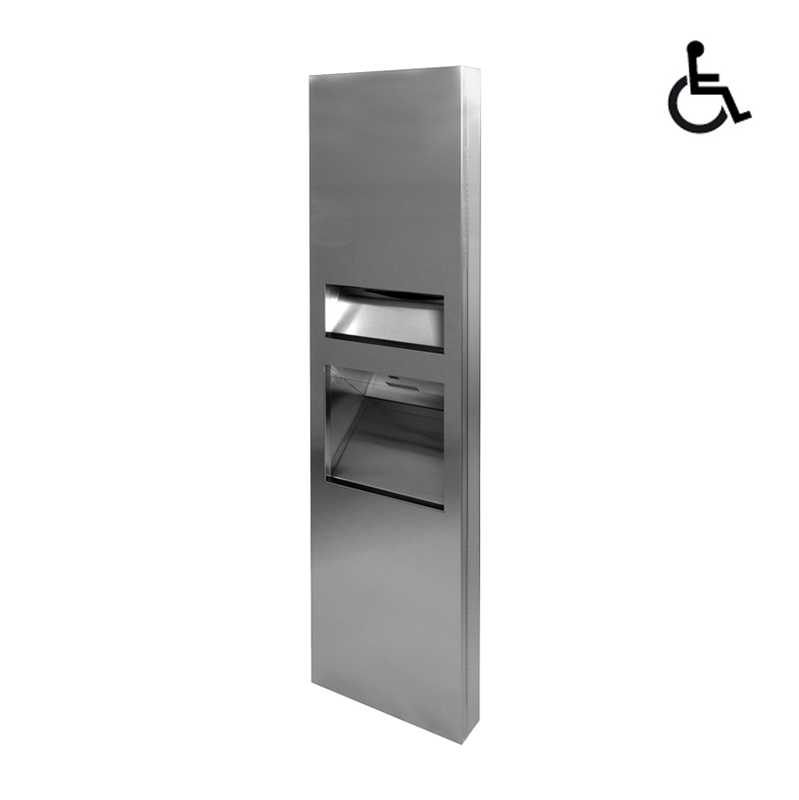 Three-in-One Accessible Compliant Paper Towel Dispenser with Waste Receptacle and Automatic Electric Hand Dryer can hold and dispense 500 standard multi-fold or 400 standard C-fold paper towels and has a waste capacity of 26L stainless steel. 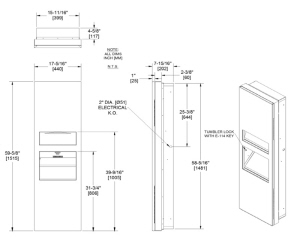 Integrated stainless steel cabinet with three features in one installation. Manufactured from high quality 304 stainless steel Select Classic G2 provides a fully automatic high speed hand dryer with adjustable air speed and temperature settings, paper towel dispenser and large capacity waste bin (26L). 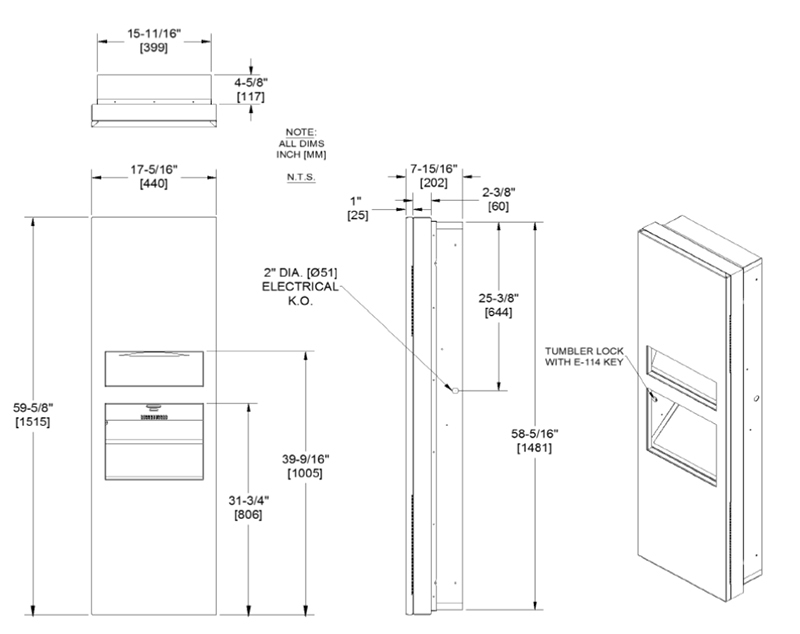 Easy installation and service via a security locked front door. Protected for shipment by PVC coating on all surfaces.